Vedicfolks is going to conduct "Dasavatara Maha yagya" on the occasion of Narasimha Jayanti 2015 which is celebrated on May 2nd (Saturday), "The most favourable day of Lord Vishnu" . We invite you all devoteees to contribute and take part in this special maha fire ritual for begetting various boons from ten forms of Lord Vishnu. Dasavatara is considered to be the ten major manifestation of Sriman Narayana who incarnates on the world to exterminate evil effects, renovates good things and free us from birth cycle and karmas. Dasavatara series of maha homam is performed with the aim of invoking ten forms of Lord Narayana / Vishnu through maha fire ritual for attaining complete blessings from all the forms of Lord Vishnu in order to get relief from any sorts of troubles in life. Prathana, Ganesha Puja, Doopam Deepam Neyvetyam, Karpoora Aarthi/Deeparathana, Mantra Pushpham for Ganesha, Sankalpa to Ejamanars/Sponsors, Yadhasthanam, Kalasa Avahanams, Archana for Avahana Devadas, Doopam Deepam Neyvetyam Deeparathana, Rudram, Chamakam, Purusa Suktham, Narayana Suktham, Durga Suktham, Sri Suktham, Bhakya Suktham, Shanthi Panchakam, Pavamana Suktham, Ayusha Suktham, Dasavatara Puja and Japa (Moola mantra Japa for all the Ten form of Lord Vishnu), Agni Invocation, Ganesha Homam, Parivara Devada Homam, Dasavatara Maha Yagya, Doopam Deepam Neyvetyam Deeparathana, Namaskaram, Maha Purna Huthi, Kalasa Deeparathana/Maha Deeparathana, Mantra Pushpam, Yadhasthanam, Kalasa Purochanam/Holy Water, Maha Prasadams, Final Namaskaram Process/Blessings from Bramanas. Matsya Avatar is the first among the manifestation of Lord Vishnu Dasavatara. Matsya signifies "fish" in Sanskrit and Matsya Avatar is the incarnation taken by Lord Vishnu as Fish. As per Hindu legends, Matsya Avatar was taken by Mahavishnu toward the end of the Satyuga , when the world was obliterated by an extraordinary surge. It is said that Lord Vishnu spared humankind and the heavenly content, Vedas, from the deluge. Matsya Homam is appropriate one to get relief from any sorts of karmic issues of past and present life. Kurma Avatar is the second manifestation among the 10 Dasavatara of Lord Vishnu. Kurma symbol has a place with the Satya Yuga and in this avatara Mahavishnu incarnated as a huge turtle to spare the earth from devastation. Kurma Purana, one of the significant eighteen Puranas, is said to have been straightforwardly expressed by Lord Vishnu to the sage Narada, and it contains the insights about the Kurma symbol (Koorm Avatar). Kurma implies tortoise in Sanskrit and in this Avatar of Lord Maha Vishnu helped out the Devas to obtain the Amruta amid the Samudra Manthan. By performing Kurma Homam an individual can attain a power of positive energy and helps to get recover from the malefic effects of Saturn planet. Varaha Avatar, the third manifestation among the 10 Dasavatara of Lord Vishnu, is as a Boar. The Lord showed up as a boar to beat Hiranyaksha, a devil, who had taken the Earth and conveyed it to the base of the huge sea. The symbol of Varaha means the rebuilding of the Earth from a pralaya (flood) and the framing of another kalpa.Varaha is represented as in animal structure bearing a boar head on a man's body. He has four arms, two of which hold the wheel and conch-shell while the other two hold a mace, sword or lotus. The tusks of the boar grasp the Earth. Varaha Homam is very helpful to remove the vasthu Doshas and also favor to recover from the bad effect of not constructing house based on Vasthu Sastra. Narasimha is the re-incarnation of God Vishnu, the defender of the Universe, as Narasimha Avatar. As per Hindu legends, Narasimha is the half-man and half-lion Avatar who re-made dharma or equity when the evil spirits had started to raise their malice heads to persecute the sages and honorable individuals. Narasimha homam helps an individual to get recover from court cases, other legal related issues and battle against to your adversaries and insidiousness karma. Vamana is the fifth incarnation of God Vishnu that showed up in Treta Yuga. Vaman implies a Dwarf "Vamana", as the name demonstrates One who has a little body. It was as a kid. Once asura Mahabali managed over every one of the three lok .The God and devtas were extremely embarrassed because of loss of their kingdom so they engaged ruler Vishnu to expel mahabali from indra lok. Master Vishnu comforted alternate devtas to help them. When Mahabali was performing a yagya and for its prosperity he needed to give anything that a Brahmin seeks. Then God Vishnu takes vamana symbol and solicited only three feet from area. Vamana Homam is very favorable for one to get recognized easily in their work circle. Parashurama was the eminent warrior-sage who was the child of Sage Jamadagni and his wife Renuka. There is a conviction that the long ago tranquil ashrama of the Sage Jamadagni was stripped by King Kartavirya Arjuna with his Kshatriya armed force who sought to kidnap the heavenly bovine Surabhi by energy. Once get the negative reaction from the sage the Kshatriya ruler pulverized his withdrawal and murdered the Sage Jamadagni. Around then Parashurama was far from the ashrama and he returned home to discover his father dead and a yelling mother. Profoundly struck by the despondency of losing her spouse, Renuka Devi hit her midsection twenty one times. Loaded with the flame of reprisal and his mother`s anguish, Parashurama guaranteed to his self that he would take this requital by annulling the race of Kshatriyas from the world twenty one times. For this reason, Parashurama went out to procure information of the awesome arms and weapons by undertaking great retribution to conciliate Lord Shiva. Parashurama Homam is very favorable one for acquiring the blessings of Lord Vishnu to nullify any condemnation, disappointment or rage of coaches and the positive vitality got from this homam will help us overpower our adversaries. Shri Rama is known as the seventh incarnation of Lord Vishnu. Rama, the ideal symbol of the Supreme Protector Vishnu, has dependably been well known among the Hindu gods. Rama is the image of cordiality and uprightness, a man of qualities and ethics. Ramachandra is Maryada Purushottama, which implies the ideal man. Lord Rama is considered to have undertaken the earth to wreck the malice powers of the age. Rama Homam serves to dispense with the pains of planets in a horoscope and guaranteeing riches and thriving. Lord Balarama is otherwise called Balabhadra, Halahadra or Baladeva. Balarama is the senior sibling of Lord Krishna. For sure Vaishnavites depict Balarama to be the first development of Lord Krishna just with a substantial shade distinction. While Lord Krishna is viewed as a full sign of Lord Vishnu, Lord Balarama is perceived as the eighth avatara of the Lord. Some see this as Krishna being of full heavenly nature while Balarama is just an incarnation. At the same time the Mahabharatha places those on equivalent balance and most delineation depict non-separateness between them. Rahu and kethu dosha issues might be illuminated with Balarama Homam to overcome hindrances and controls the negative forces which are created by wrong sins of planets in horoscope. God Krishna is a standout amongst the most famous Gods in Hinduism. 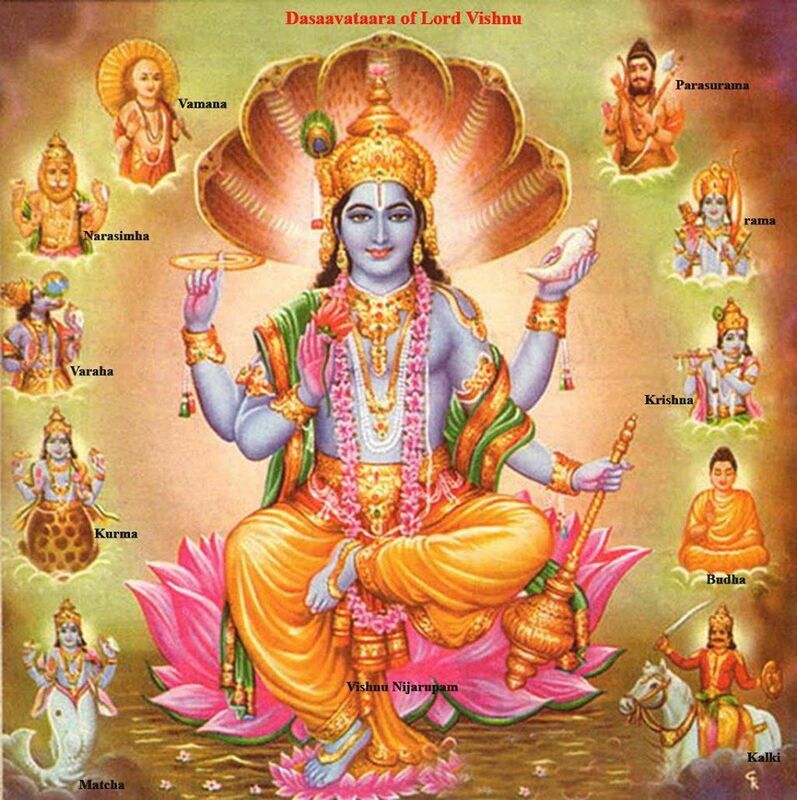 He is accepted to be the ninth incarnation of Lord Vishnu. Sri Krishna is the characteristically cherishing and sweet part of Vishnu, Lord of Srimati Radharani and middle of the profound home. Krishna is the guard of consecrated articulations. Krishna is a lover, a driving force of all manifestations of learning and destined to set up the religion of adoration. He is likewise known for his dauntlessness in annihilating malice controls for the all through life. Performing this homam one can expand spiritual knowledge and attain moksha. Kalki Avatar is a Vishnu's last manifestation as "Lord Venkateswara" to demolish the Kali Yuga (Universe). Vedic Scripture and Kalki purna says that Kalki takes on toward the end of the Kali Yuga and executes malice individuals and decimate the Kali Yuga "world". Lord Kalki is also known by one more name called Lord Venkateswara. Lord Kalki has three souls one spirit is Vishnu to protect "Kali Yuga" world other one is Lord Shiva to devastate the Kali Yuga (Universe) the last soul is Brahma to make Satya Yuga (Next world). So Kalki , Lord Venkateswara do every one of the three parts so that Lord Kalki will have three souls. Performing Kalki Homa with strong belief tends to safeguard from black magic or evil spirits and it is most importantly protecting the universe from pain and troubles. We at Vedic Folks are proud to possess the most authoritative experts who have the knowledge and ease to invoke these powerful radiations of all the Ten forms of Lord Vishnu who can bring all success in your Life by removing negative effects !